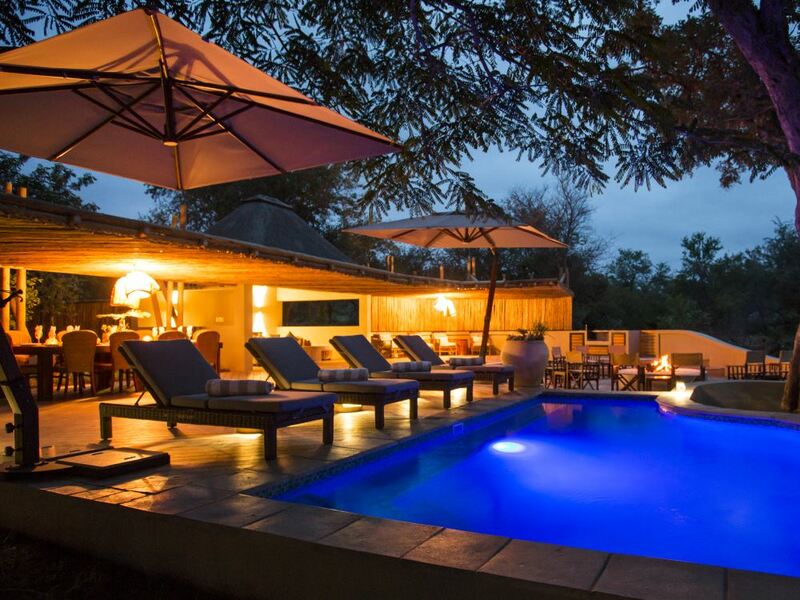 Relax on the pool deck overlooking the riverbed and waterhole on the far bank with a cold drink in hand as you watch the procession of animals coming in to drink! An unusual feature is the open plan kitchen in the main house, allowing you to watch the superb chef busy working his magic – the food at Amani gets consistent rave reviews from guests! Whilst fewer other game drive vehicles around makes for a wonderfully relaxed drive experience, it does also mean that there are fewer eyes out there spotting game and you may have to work a bit harder – having said that, the rangers here know the land and animals like the back of their hand and great Big Five sightings are likely! 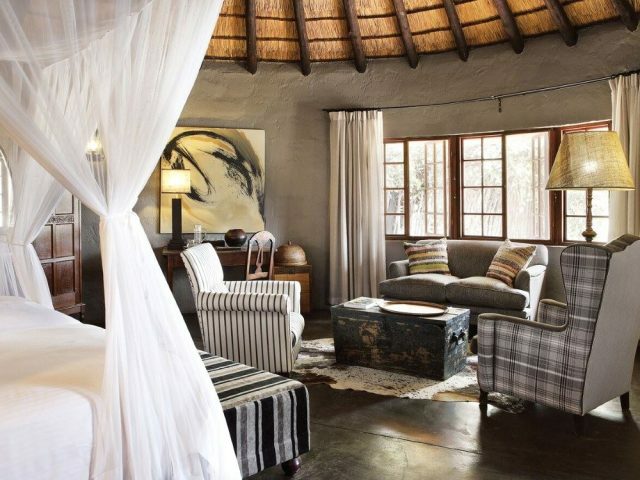 The main reason for this lack of a high profile is pretty simple: compared to other prestigious reserves like the Sabi Sand and Timbavati with their profusion of famous luxury lodges, the Klaserie has until very recently being dominated by non-commercial lodges used almost exclusively by their owners as a private retreat for immediate family and friends. Now though, the Klaserie is rapidly starting to open up and many of the old private lodges are re-opening as commercial lodges now bookable by the public. 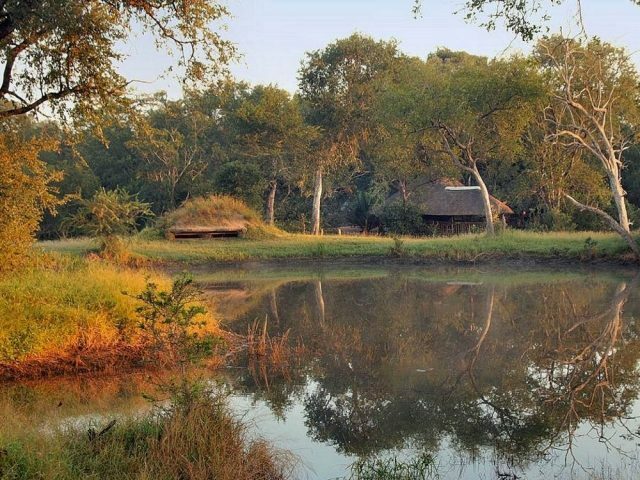 The 2 Klaserie Drift lodges are 2 recent examples of this – long established and well-loved old family camps that have recently been extensively refurbished and have now re-opened their doors for public business. Traversing over 10 000 hectares of prime big game territory (including 3 000 hectares for their exclusive use) and having been in private operation since the 1990’s, the game viewing experience is well established and of a superb quality even if the lodges are “new” – the staff here know this land and the animals on it like the back of their hands and are hence able to deliver an absolutely top-notch game viewing experience! The rooms themselves have been beautifully renovated, keeping a traditional feel but melding this with modern finishes and décor touches. From the comfort of your king-sized 4-poster bed you can enjoy lovely views out of the expansive windows of the attractive gardens. High quality linen and leather-covered headboards and trunks add to the feeling of classy luxury whilst air-conditioning ensures that you’ll be comfortable even during the heat of high summer. Step out your bedroom and you’re in the attractive open-plan double volume lounge area with its thatched roof – again the bones of the building are quite traditional, but the décor includes many contemporary touches and artworks and it all makes for a welcoming space where you’ll be happy to flop down on a comfy sofa with a good book. One unusual feature compared to most conventional lodges (that comes courtesy of its bush house origins) is the open-plan kitchen, so you can literally wander by and watch the extremely talented chef work his magic preparing your next feast! One of the aspects that receives consistent rave reviews at Amani Camp is the quality of the meals, with guests often likening the meals to those at top restaurants of even Michelin star level! Heading outside there’s plenty of space to find your own comfy spot to just chill and relax. The expansive pool deck and adjacent boma is particularly attractive – it’s a great place to while away the time between game drives in one of the pool loungers or in the outdoor lounging area, with a cold drink in hand whilst looking out over the dry river bed and the active waterhole on the far bank with its steady procession of animals coming down to slake their thirst. You virtually don’t need to go out on game drive given the amount of game you’re likely to see in and around the camp! That would definitely be a mistake though, as the twice daily game drives are likely to satisfy the fussiest of true bush connoisseurs! With traversing over Klaserie Drift’s own 3 000 hectares plus the option to venture further onto neighbouring land, what stands out at Klaserie Drift is both the quality of the game viewing on offer, as well as how uncrowded and unrushed the whole experience is. Unlike other private reserves which have many more lodges and hence many more vehicles, coming across another game vehicle here is the exception rather than the rule. 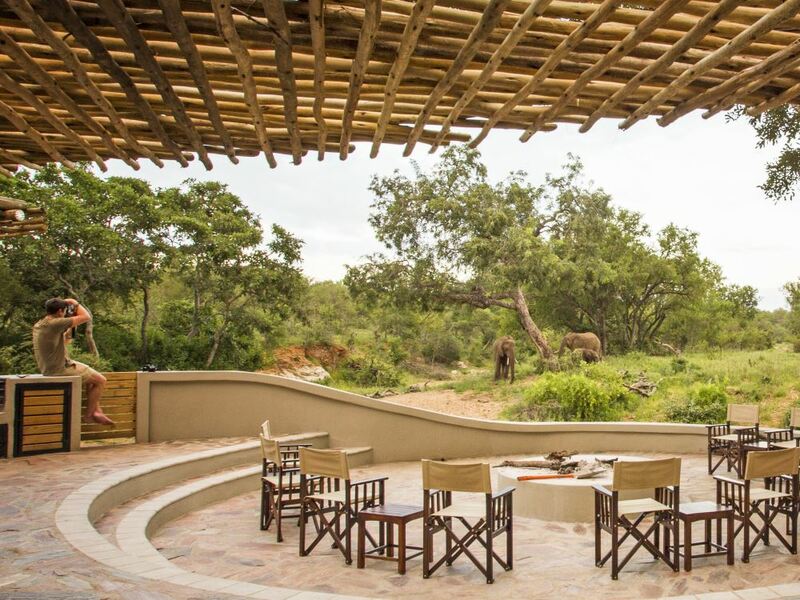 This leads to a much more exclusive and unspoiled feeling with the enthusiastic rangers giving guests the opportunity to enjoy unrushed sightings of the Big Five and other animals that call this uncrowded neck of the Klaserie home! All children are welcome at the Klaserie Drift Safari Camps. Children under the age of 4 will stay free of charge.